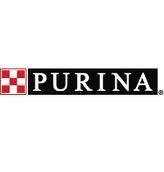 Purina: CheckMark - SparkFire, Inc.
CheckMark, Nestlé Purina’s internal creative communications and design agency, is charged to deliver creative ideas to keep the portfolio of Purina brands fresh, and at the forefront of the pet category. When CheckMark wanted to learn how to effectively run their own brainstorming sessions — geared to addressing all kinds of marketing and communications issues — they came to us for help. Our custom designed training, packed with our powerful proprietary techniques and proven creative processes, hit the mark. In our two-day, hands-on training, we taught our process to this diverse group of account management, creative, and public relations professionals, and then put them to work on actual business challenges they face. The results were powerful. Participants immediately put what they learned into practice, leading brainstorm sessions to create amazing new products, promotions, names, brand positioning, and more.